Refresh by How Do I? is an exciting content creation platform that links completely personalisedvideo content to living and community spaces through affordable location-based technology and a mobile app. People living with dementia and their loved ones record videos through our mobile platform, which can be vetted by a nominated party before being uploaded. 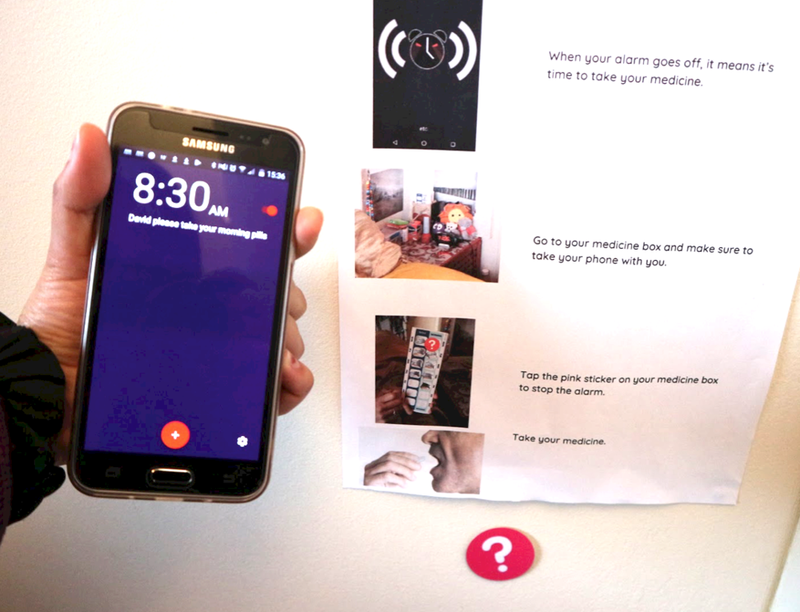 Then, easily identifiable NFC (Near Field Communication) stickers link the created step-by-step video to the appropriate location at home or in the community through our app. It’s as easy as touching a mobile device to the brightly branded sticker to launch the appropriate content. The only constant in life is change. As we age, we develop new insight and valuable perspective. But we might also notice some changes in our cognition. 1 in 6 of us who reach the age of 80 will experience these changes in a more profound way than others, and will develop symptoms associated with dementia. Dementia is a way of describing a set of cognitive impairments that include memory loss and difficulties with language, thinking and problem-solving. How might we use tech to help all older adults live richer lives, and enable people living with dementia to live independently for longer? In partnership with Humanly and BAM Mobile, we successfully applied for an Innovate UK Design Foundations grant to find out. The week commencing 21 May 2018 is Dementia Action Week. Across the week, we will be sharing content and open-sourcing the insights, concepts and prototypes generated as part of the project. We hope that it will help designers and service providers to take action to create products and services that people living with dementia want and need. Humanly follow a human centred approach, their process outlined in the diagram above. To deliver this work, we partnered with two award-winning studios: Humanly, a design studio specialising in human-centred design for social impact, and BAM Mobile, who create digital experiences that delight and engage. Humanly was brought in to lead the team through the full human-centred design process, and began by scoping the underlying problems and desired outcomes of the challenge, which focused on people with dementia still living in the community. Though they were interested in how technology could play a role, keeping the challenge broad at this stage helped keep the team open to other opportunities. BAM Mobile provided digital capability to support the prototyping phase. Humanly took a broad ranging approach to connecting with people living with dementia and their loved ones. Whilst setting up user research, horizon scanning was conducted to look for existing examples of products and services that were successful, innovative or interesting. These were used as inspiration stimuli to help frame ‘How might we’ questions for the co-creation phase. An ethnographic approach to research was adopted, which meant that we would be investing our time in observing and interacting with people in their homes and social spaces. Humanly attended events with people with dementia and their carers in the community for example at dementia cafes, day centres and dance groups. This enabled them to meet and speak to people informally, before arranging to conduct more in-depth interviews and observations at people's homes. Home visits from the Humanly and How Do I? teams also enabled participants to show how dementia affects their daily life and the tools or ‘hacks’ they use to help. 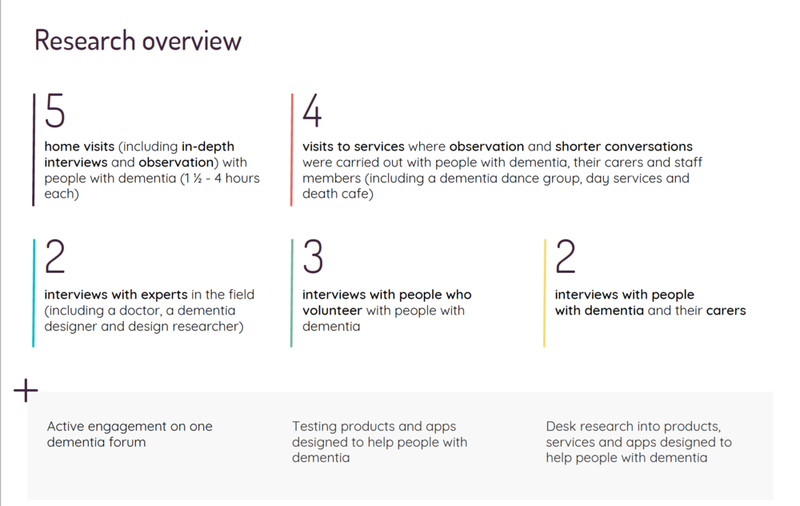 In addition to user research, interviews were conducted with experts in dementia design and medical doctors. The project team enjoying a half-day workshop led by Humanly. The team collaborated to refine 6 concepts. Our own insights and existing research had shown that trying to design for ‘people living with dementia’ as a group was not the best approach, as people's experiences vary dramatically. Instead, detailed case studies were created for each individual who we had interviewed in-depth at home. This enabled Humanly to work with the wider team including How Do I? and BAM Mobile to generate ideas based on each individual’s experiences, challenges and enablers. 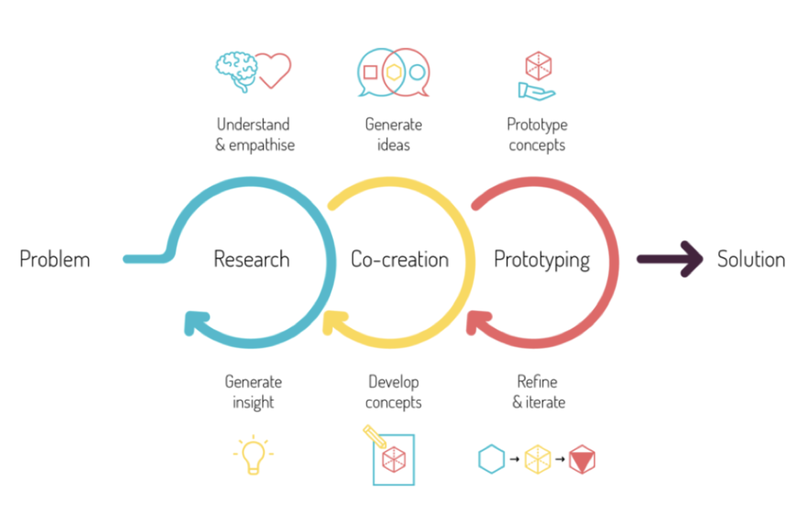 Examining all 6 concepts, the team considered how they could work for the participants who had been involved in research and volunteered to take part in prototyping, and how achievable was it to prototype each concept within the timeframe and budget. We presented sketches of the ideas, and how we would prototype them, to our prototyping participants. They then chose which concepts they felt would best suit them and their lifestyles. We are excited by the opportunities we've uncovered through the project. From the beginning, we kept an open mind. Would we find tech-based solutions to help people live happier, more independent lives? Would mobile or digital more broadly prove to be a good fit for the group of people we were designing for? We are currently exploring opportunities for this kind of further testing and development. We're proud to have been shortlisted for two prestigious awards: the AAL Smart Ageing Prize and the Essex Challenge Dementia prize programme. An important outcome for the team was to make publicly available all of the insights from the research and prototyping, as well as some of the other prototypes that we did not pursue. We encourage anyone inspired by the challenge of staying independent with dementia and inspired by the ideas to take them up for prototyping and developing.